Sarah Parker is a self described "photographer, designer, curator, and book lover." Her zine The Boys Who Could Fly shows her love for her self attributed character traits. This particular project was a collaborative one with her two brothers, Mark (18yrs old) and Jack (15yrs old). Though frequent subjects in her photography they also serve as participants in the process, giving her an alternative perspective of herself as an artist. The photographs presented in The Boys Who Could Fly document every day situations: "visions that reflect a sensation of familiarity and chaos, combined with subtle details of odd or eccentric, humoristic elements that can often arise in photography that focuses on family and youth.". The zine itself is minimal in nature and uses a lot of negative space to draw attention to her Polaroid scans. She also showcases her 35mm work, of which the best shot is displayed on the cover. Overall, I feel that her Fuji Instax work is truly the highlight of the zine even though only 9 of the 22 images are instant. I was most drawn to pages 3 and 4 that have two over exposed Instax shots placed on a bright red background, making for an interesting combination of color and subject. The rest of the zine takes the reader through images of seemly domesticated subjects to the hospital where Jack Packer is laying in a hospital bed. You ultimately don't know or understand why he is there but followed by his picture you are presented with a tub of medications. I took this as the emotion of loss and absence. Though her medium is mixed and the amount of images is shorter than I expected for a full size 24 page zine, the zine felt complete and I did not finish it feeling that it lacked images. 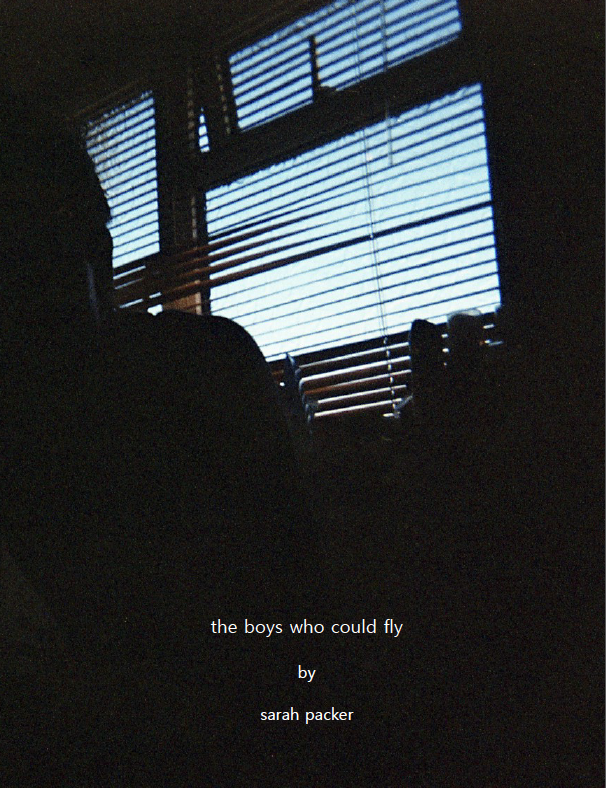 If you are looking for a zine featuring two different mediums of film and want to learn about the boys who could fly, you can pick a copy up here: Sarah's Magcloud Shop. Connect with Sarah on Tumblr and Blogspot!